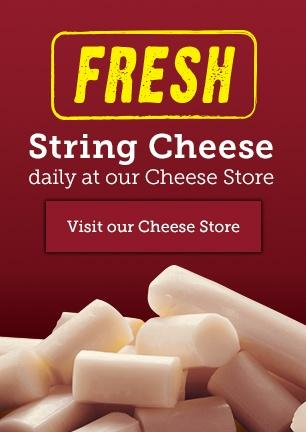 Feeding South Florida received 30,000 pounds of Wisconsin Cheese to provide families with nutritious food. The 32 pallets arrived at Feeding South Florida which distributes to a network of 400 partner agencies throughout the community to get the food into the hands of those who need it most. 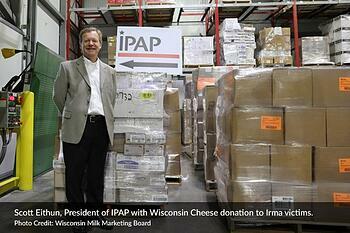 Seventeen cheese companies from across Wisconsin were involved in the relief effort. Participating companies included: Arthur Schuman, Inc., Artisan Cheese Exchange, Baker Cheese, Inc., Cedar Valley Cheese, Dan's Prize, Inc., Door Artisan Cheese Company LLC, Eau Galle Cheese Company, Foremost Farms USA Cooperative, Maple Leaf Cheese Co-op, Masters Gallery Foods, Inc., Odyssey Cheese & Yogurt, Pine River Pre-Pack Inc., Saxon Cheese, Swiss Valley Farms Co-op, Valley View Cheese Co-op, Widmer's Cheese Cellars and Winona Foods, Inc.
Additional support was provided by Wisconsin Cheesemaker Association (WCMA).